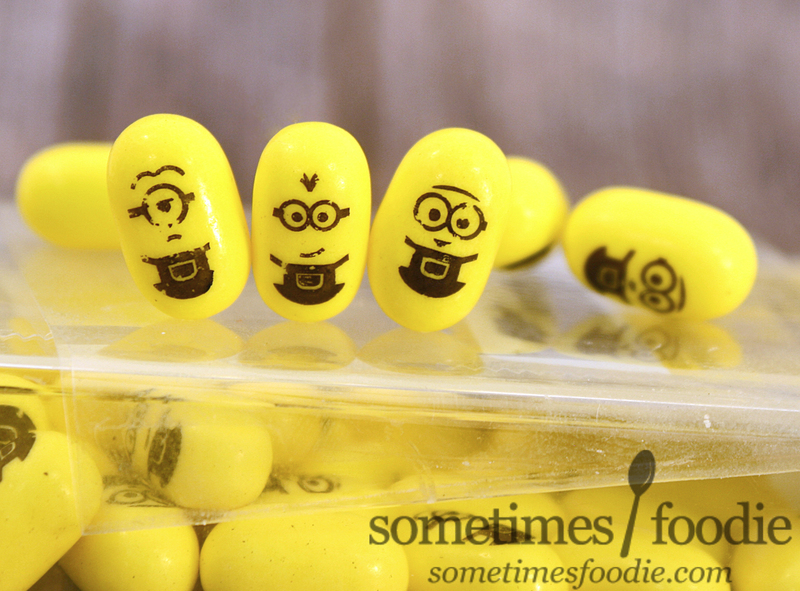 Sometimes Foodie: Finally, Banana Minions! Everything is right with the world. Novelty Minion Tic-Tacs are now banana flavored. We can all go on with the rest of our lives. 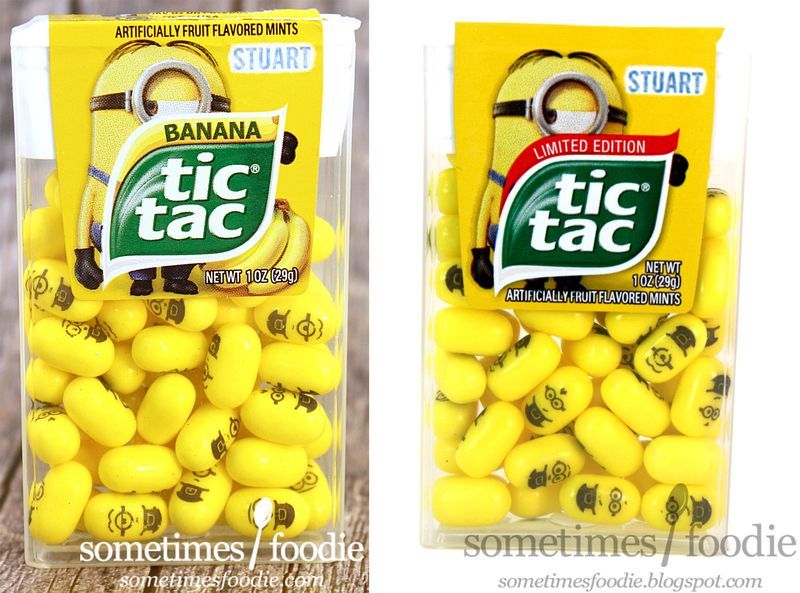 Sarcasm aside, it did bother me that Minion Tic-Tacs were banana flavored everywhere else in the world, except for America. It was one of the biggest talking points in my 2015 review. For some reason, we got passion fruit, and they were awful. It seems that Tic-Tac got the message. 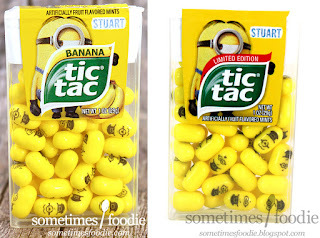 Behold, banana Tic-Tacs! Visually, this is déjà vu. This package is identical to the last run. Seriously. I even got Stuart last time! The text has changed up a bit, and the little swooped shape that describes the flavor is obviously different, but the layout, imagery, and printed faces are all the same. We have the exact same bitmap-looking Minion print on the sticker, which is cropped the exact same way by the logo, and the exact same little Minion faces on the individual candies. Marketing wise, I still think these are brilliant. I mean, Tic-Tacs are minion-shaped already, all they had to do was add these simple faces and BOOM instant novelty product for the Minion obsessed. 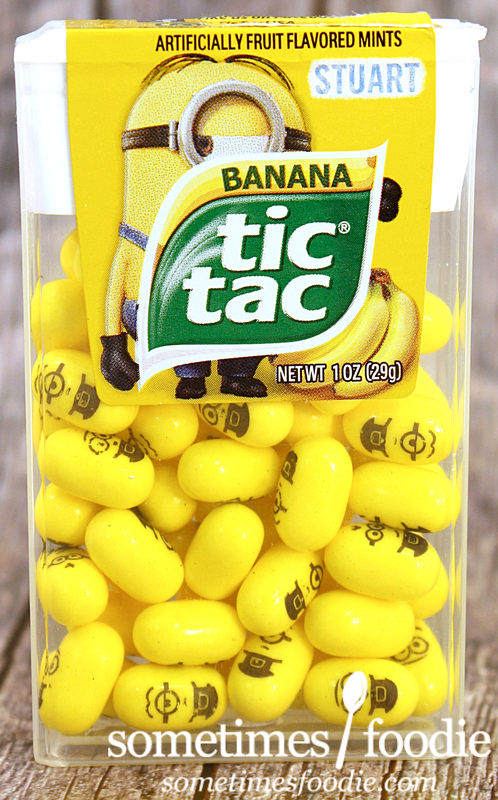 Plus, now that they're banana flavored, they finally fit in with the classic Minion flavor obsession. Smell-wise, there's really nothing to these. They're lightly sweet, but nothing about their aroma is overtly banana-y. I popped a few into my mouth and it's as-if I'm eating banana pudding made with un-ripe green bananas, crushed banana runts, and a touch of wintergreen bubble gum? Is that why these are still considered mints? Even though this banana flavoring isn't perfect, it's still vastly superior to the original passion fruit release, and it makes more sense with the whole franchise tie-in thing, so I'm happier than I was in 2015, but they're not a great candy. Or mint. After eating a handful to collect my thoughts for this review, I just don't want to eat anymore. The unripe banana flavoring lingers, and no one wants unripe lingering banana breath. 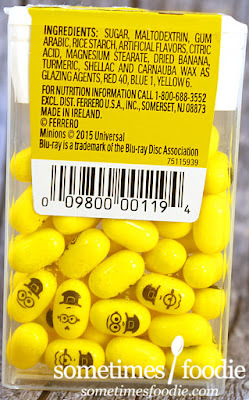 I'm glad that the candy creating universe finally saw the light and switched the minions candies to banana, but this just isn't the right kind of banana. I'm glad I got this box of them for reviewing purposes, but I won't be buying another one any time soon.